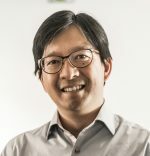 Richard Phan is the Founder and CEO of Inventhys, a consulting, R&D, and contract hardware, firmware, and software development provider focused on IoT. Founded in 2015, Inventhys has already helped large companies and successful IoT startups design and bring their products to market. Customers include Joy (Octopus children’s watch), SNCF (French rail), Somfy, Michelin, Suez, Orange, and Schneider Electric. Prior to Inventhys, Richard founded a mobile app startup. The time management system was featured on major app stores, including Google Play, Apple’s App Store, and Xiaomi’s store in China, and was awarded by Samsung. Richard held several leadership positions at technology companies in France and Silicon Valley that focused on bringing technology products from concept to mass, consumer grade production, including at HP, Palm, and Handspring.